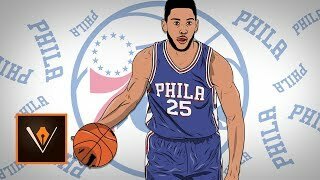 Adobe Draw Ben Simmons of the Philadelphia 76ers Realistic Cartoon Drawing Speed Art by Kevin Elliott. How to Draw Ben Simmons Step by Step. Leave a rating and subscribe for more Adobe Draw speed art + more! Drawn on a 12.9″ iPad Pro with Adobe Draw. Adobe Draw Ben Simmons Realistic Cartoon Drawing, Enjoy!